Hi Everyone! 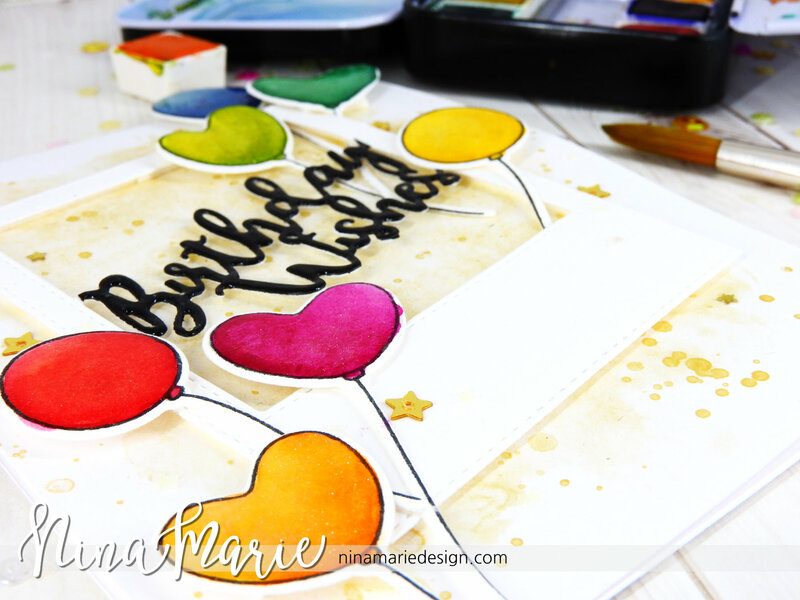 Welcome back to my blog for another video tutorial that is part of a special blog hop celebrating the newest release from Simon Says Stamp! This April release is entitled “My Favorite” which is quite fitting because the new goodies that are part of this release are definitely some of my most favorite stamps and dies right now… and I think you’ll feel the same way when you see everything that has been released! 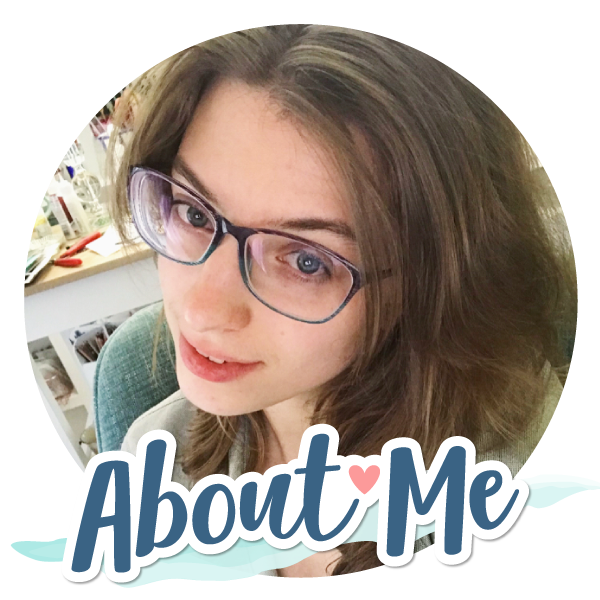 If you’ve already been hopping along with us, you should have arrived from the blog of my sweet and wicked-awesome friend (she’s a true New Englander!) Jenn Shurkus! 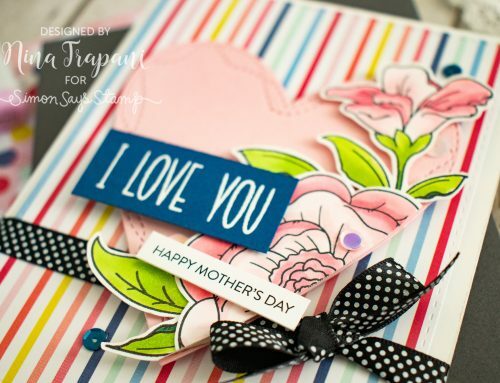 For my card, I have used the new Retro Thanks stamp and die set. When I saw this set, it immediately made me think of the Jetsons! I used to watch this show many, many times with my Pop-pop as a kid. We would watch old TV shows together like I Love Lucy, the Three Stooges, the Flintstones, Andy Griffith… the feel of this stamp set made me think of those times and I knew I had to make a card using these images! If you’ve ever watched the Jetsons, which I am sure many of you have, everything is in a futuristic, space-like world with buildings suspended into the air on very tall poles. I wanted to create that effect with these signs and I’ll be showing you that in my video (down at the bottom of this post). I also used bright bold color schemes to go with the Jetsons/retro style. This set is so much fun and brought back lots of fun, childhood memories for me! 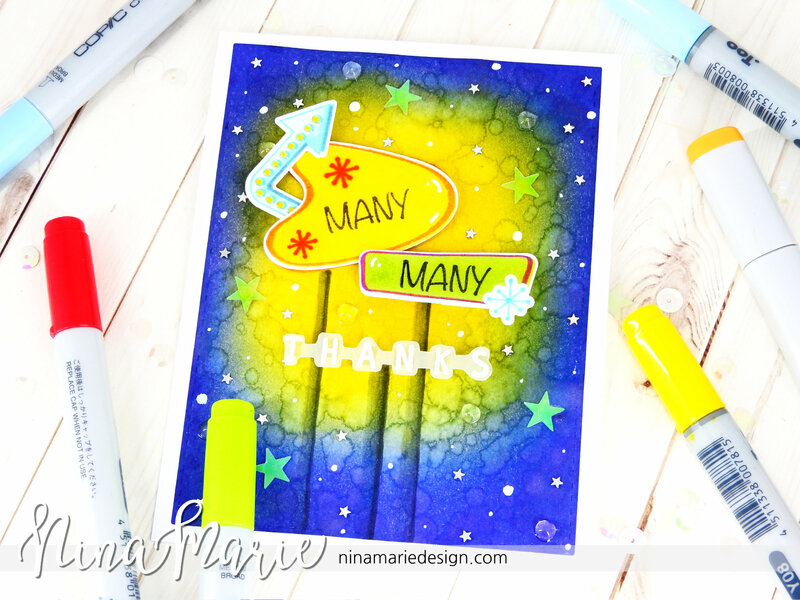 I hope you’ll check out the video I have for you showing how I created this card! If you enjoy, be sure to give the video a “thumbs up” on Youtube and subscribe to my channel for more weekly inspiration! 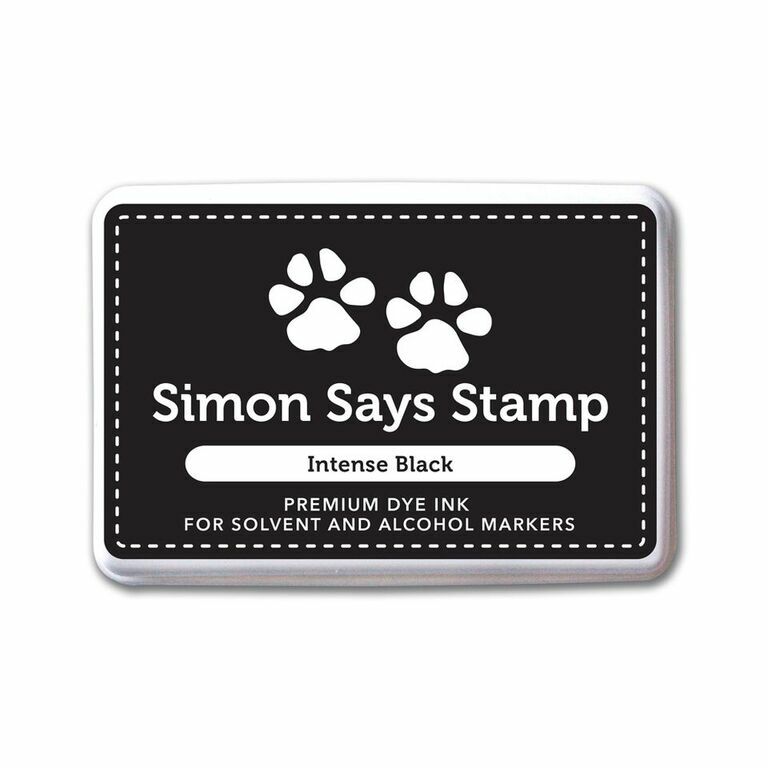 As I mentioned, this post and video are part of a fun blog hop for Simon Says Stamps’s My Favorite April release! There are giveaways been drawn from comments on each stop of the hop, so be sure to leave a comment on my blog, as well as on the blogs of the other talented ladies participating in the hop! If you’ve already been hopping with us, the next stop is Yoonsun Hur, my talented friend from across the pond! :) And if you are just joining in, the entire hop order is listed below! 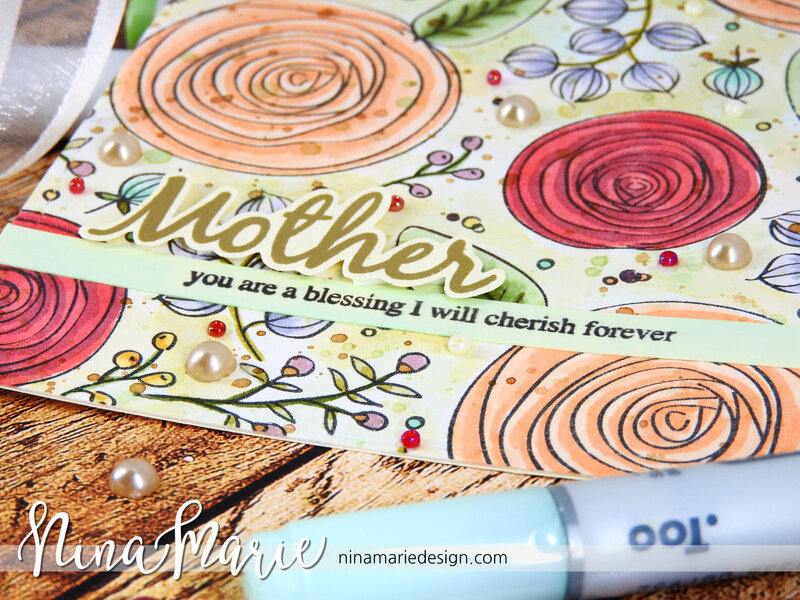 If you enjoyed this card, here are a couple more cards I’ve created that feature new My Favorite Simon Says Stamp stamps and dies! Click the photos to be taken to the corresponding blog posts. Very cute cards!! Love colors and style!! 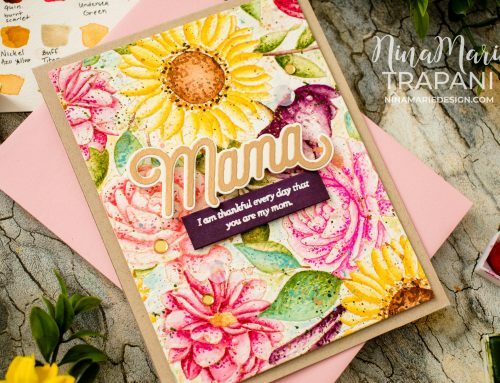 Absolutely love your colorful card! Awesome! This is just too fun!! that’s an awesome night sky! Your card is out of this world I love every little thing about it! You are not just a card maker you are a true artist tfs! This card reminds me of a neon light sign outside a motel back in the day. :-) I love your bright colors and background. This is totally cute! You’ve captured the look of the Jetsons so well with this vibrant card! Yes!!! I watched the Jetsons, & I remember the signs that looked like yours! (I watched an Andy Griffith episode this weekend). Love your card, & the trip down memory lane! What a neat card – LOVE the colors! Wow! 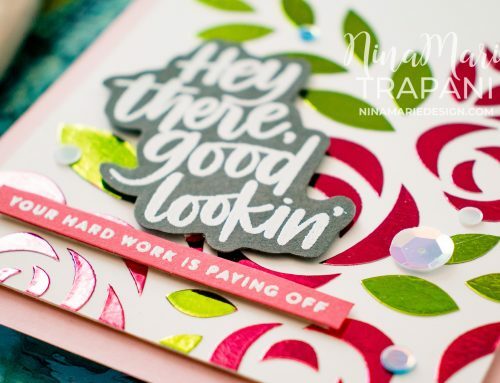 Love your vibrant colors in this retro card!! I love your retro card so much! I am a child of the 60’s so The Jetsons were part of my Sat. morning cartoons. This is so the Jetsons and what the future was supposed to look like. Hey, they had moving floors and sidewalks and that hadn’t been invented yet! This is one of my faves on the hop and I hope I win this stamp set. The others you made are equally as nice. Awesome retro card. Really brings back good memories. Oops letting my age slip just a little. This is definitely one of my favorites from this SSS hop! The colors are amazing and I’m a lover of all things “retro”. I like how you drew inspiration from “The Jetsons”. It was one of my favorite cartoons growing up :). I’m gonna have to add this stamp set to my cart. TFS! Love your colour combo and techniques for the background to pop! Awesome background on your very special ‘retro’ card – just super !!! You are too young to have seen the Drive-In Signs of the 50’s-60’s but your card sure takes me back to those sultry summer nights at the movies.